Black River Technical College President Dr. Eric Turner was presented a capital refund check in the amount of $4,351.23 by Vice President of the Board for Clay County Electric Charles Raglin. 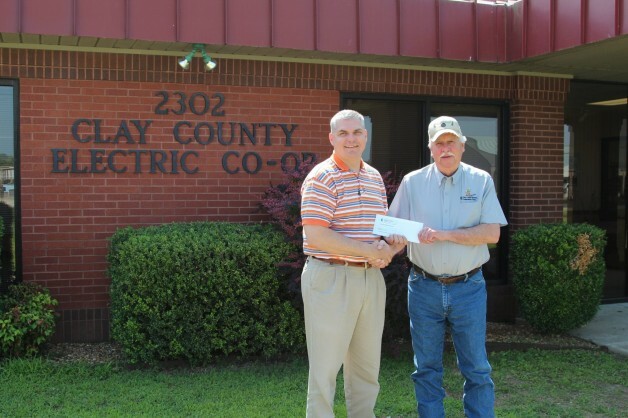 Clay County Electric Cooperative Corporation is a not-for-profit organization owned by its members. “It truly is our members that we work for and we are here to provide affordable reliable electricity,” stated Tonya Tucker Communication and Media Representative for Clay County Electric.